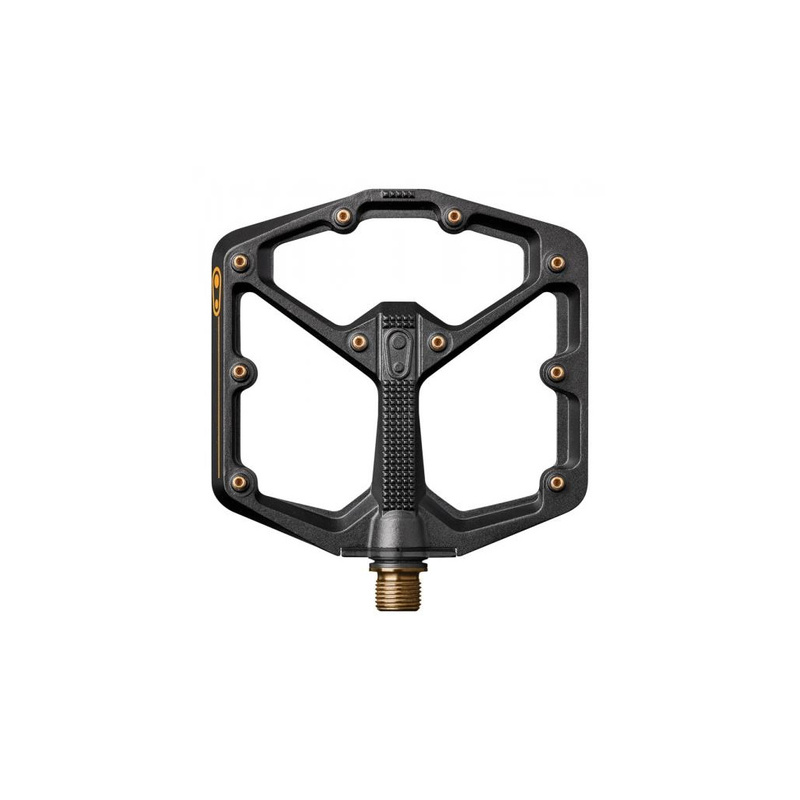 The level 11 pedal is the top of the range crankbrothers flat pedal with a slimline, thin, concave profile, adjustable pins for grip and a titanium axle. Concave pedal platform so that your shoe feels like it sits into the pedal and feels connected. 13mm external and 11mm internal thickness. 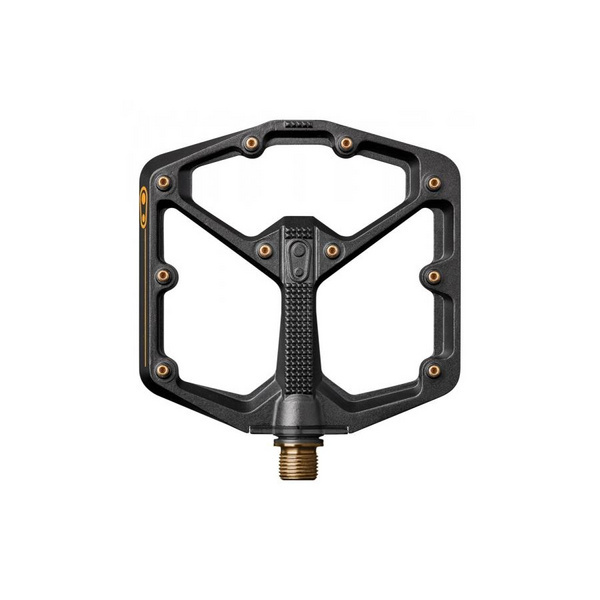 20 adjustable gold pins per pedal. 8mm in the centre of the pedal and 10mm on the outer edges. Internals run on an igus LL-glide bearing which has been exclusively formulated for crankbrothers and performs in even the most adverse conditions out on the trails.